Chemical Found In Colgate Total Toothpaste Linked To Cancer. WARNING: A chemical found in one of North America’s most popular toothpastes, Colgate Total, has been linked to CANCER and other harmful health ailments. It’s called Triclosan. A recent study published in the journal Chemical Research in Toxicology found that the chemical encourages cancer cell growth. 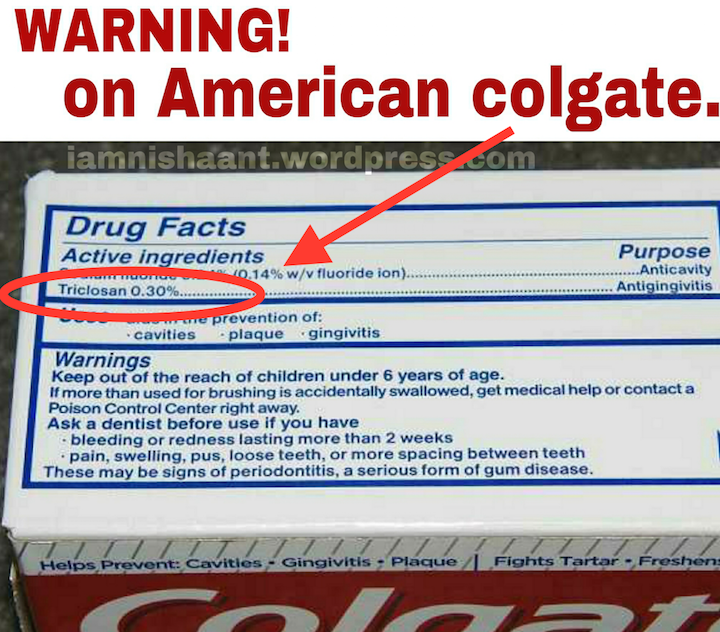 Various studies over the past few years have clearly outline the health dangers associated with this chemical found in Colgate Total toothpaste. Don’t forget, the government and corporations used to tell us that asbestos, PCB’s and DDT were safe and effective. However, since then, ALL of those chemicals have been banned. Triclosan can also pass through the skin and interfere with hormone function. It doesn’t stop there, a study published in the journal Environmental Health Perspectives shows how scientists detected Triclosan in the urine of nearly 75% of the people who use Colgate Total toothpaste. This chemical is so dangerous that the Canadian Medical Association has even called for a ban on products that contain Triclosan. More information has been coming to light over the last few years, and people are making wiser decision on what they choose to surround themselves with on a daily basis. More importantly, people are waking up and understanding the harmful chemicals that are being allowed by the US government in the daily products we use.